The California Fan Palm Tree (Washingtonia filifera) is also known as the Desert Fan Palm, American Cotton Palm and Arizona Fan Palm. 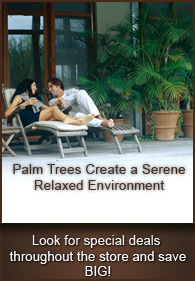 This palm tree loves the arid climate and does not need to be tended as much as other palm trees. It is cold hardy to about 15-23 degrees F and can tolerate frost. The California Fan Palm is an iconic symbol for the Hollywood Strip located in California. They can be found lined up as far as the eye can see down Sunset Boulevard. 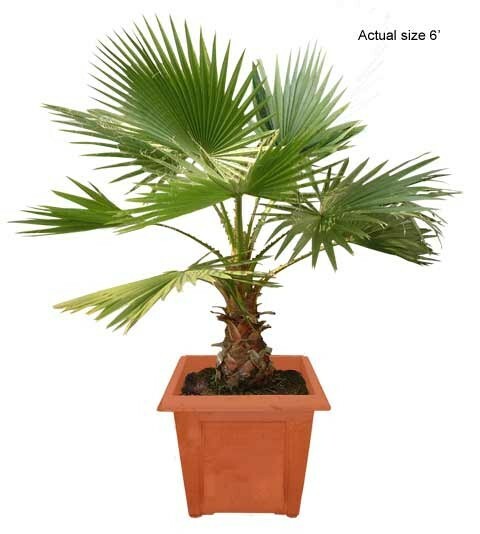 The California Fan Palm can grow to upward heights of 40-60 feet tall.